FrancisDana is a Legacy Library. Legacy libraries are the personal libraries of famous readers, entered by LibraryThing members from the Legacy Libraries group. » Francis Dana's legacy profile. FrancisDana is also an author. About meFrancis Dana (13 June 1743 - 25 April 1811), Massachusetts lawyer, diplomat, and judge. Born in Charlestown, Massachusetts, to Richard and Elizabeth (Trowbridge) Dana, Francis graduated from Harvard in 1762 and commenced the practice of law in 1767 after studying with his uncle, Edmund Trowbridge. He was a delegate from Cambridge to the provincial congress in 1774. In April 1775 he sailed to England on family business, arriving back in Philadelphia in March, 1776. Dana served four terms on the Massachusetts Council, 1776-1780, simultaneously being a member of the Continental Congress from November, 1777 through August, 1778 (when he declined reelection). In that capacity he headed the military reorganization committee and the Treasury Board. Dana was appointed secretary to the American legation in France, and sailed in November, 1779, along with John and John Quincy Adams. In December, 1780 he was appointed minister resident to the Russian court, and departed for that country in July, 1780 (with John Quincy Adams as his secretary). Dana was never officially received at the court of Catherine the Great, and left Russia in August, 1783. He returned to the Continental Congress from May, 1784 through January, 1785, but resigned with complaints about the low salary and returned to Cambridge to take a seat on the Supreme Judicial Court. 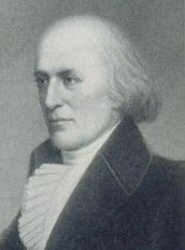 Named a delegate to both the Annapolis Convention and the Constitutional Convention, Dana attended neither, due to ill health. He was a member of the Massachusetts ratifying convention, leaving for a time during its proceedings after a spat with his friend Elbridge Gerry, an opponent of the Constitution. Dana was for the most part a firm Federalist during the early national period, but opposed Hamilton's Assumption Plan and John Adams' peace overtures to the French. Dana was appointed chief justice of the Supreme Judicial Court in 1791, a position he held until his retirement from the bench in May, 1806. He then became active as a contributor to the Monthly Anthology. Among other organizations, he was involved with the American Academy of Arts and Sciences, the Society for Propagating the Gospel, the Society for Promoting Agriculture, and others. Francis Dana married Elizabeth Ellery in 1773; the couple had five children. About my libraryDana's library is documented in various lists, receipts and other files in the Dana Family Papers at the Massachusetts Historical Society. The books themselves were scattered after his death. He used a bookplate designed by Nathaniel Hurd.